Earlier this morning, Delta sent out a press release announcing changes that will be made to the SkyMiles program starting January 1, 2015, that they claim will make earning and redeeming easier for SkyMiles members, and in my opinion, they’re all going to be bad news for most Delta flyers. 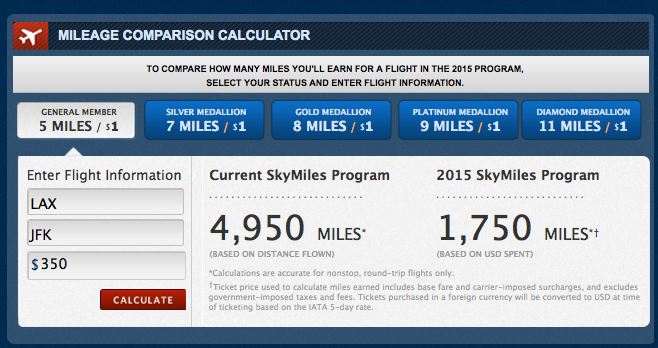 Changes to the SkyMiles program will be effective January 1, 2015. So General members will earn 5 miles per dollar. You can still earn 2 miles per dollar with a Delta co-branded Amex. 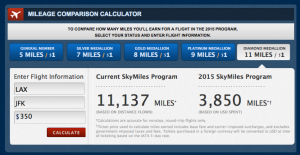 At this rate as a general member, you’re basically earning miles at 20 cents each – a terrible value and much more than I’d value any mileage currency, let alone Delta SkyMiles.